These flippy flopper flying discs are great fun for you and your dog. Unlike a regular frisbee this product is soft your your dog's mouth and teeth. This fun safe product floats. Easy to clean and durable. 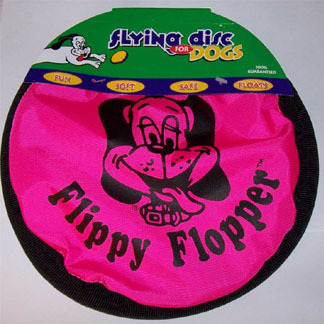 Size large of the flippy flopper is 9 inches in diameter.